The Credit Union is committed to protecting the personal privacy of its members. We collect information when a person visits our site strictly for statistical purposes in order to improve the content of the site and our services. We do not collect email addresses. We offer several external links within our site. 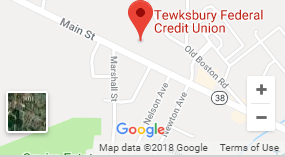 The Credit Union is not responsible for the privacy practices or the content of the sites linked from within www.tewksburyfcu.com Members should only enter critical information such as account and social security numbers through our Secured Loan and Member Applications. You will see a gold lock on the bottom of the page which means you are in a secured page. Please check for this before entering critical information. FACTS WHAT DOES TEWKSBURY FEDERAL CREDIT UNION DO WITH YOUR PERSONAL INFORMATION? How? All financial companies need to share members’ personal information to run their everyday business. In the section below, we list the reasons ABC Credit Union chooses to share; and whether you can limit this sharing. Reasons we can share your personal information Does TFCU Credit Union share? Can you limit this sharing? To limit our sharing We do not share any non public information. Questions? 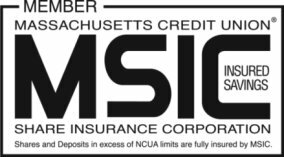 Contact a Member Services Representative at 1-978-851-9750, or 1-888-876-9750 or visit us at 752 Main Street Tewksbury, MA 01876. Nonaffiliates Companies not related by common ownership or control. They can be financial and nonfinancial companies.· Non-affiliates we can share with include companies such as credit bureaus, data processors, credit and debit card processing networks, insurance companies, and mailing and distribution services. Joint marketing A formal agreement between nonaffiliated financial companies that together market financial products or services to you.· Our joint marketing partners include companies that provide products such as auto, life, accident and health insurance.